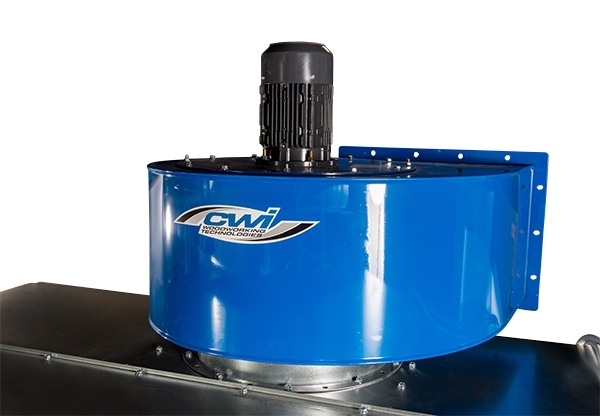 The EcoCarbon Woodworking Spray Booths are designed by CWI Woodworking Technologies to be the ultimate shop air solution for woodworkers who need an economical and environmentally friendly spray operation. 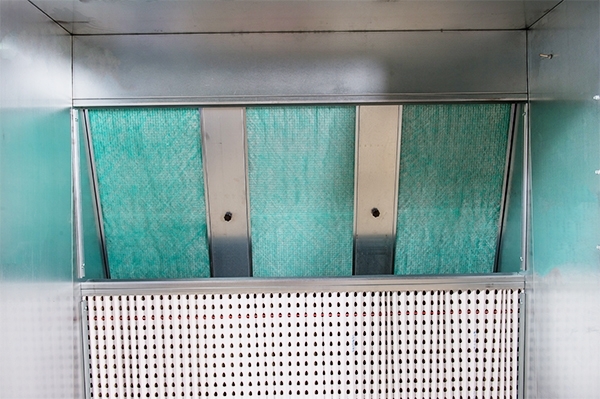 The EcoCarbon booth uses a 3-part filtration process which allows the recirculation of purified air within the shop air space. There is no need for external ventilation or corresponding expensive air make up units. 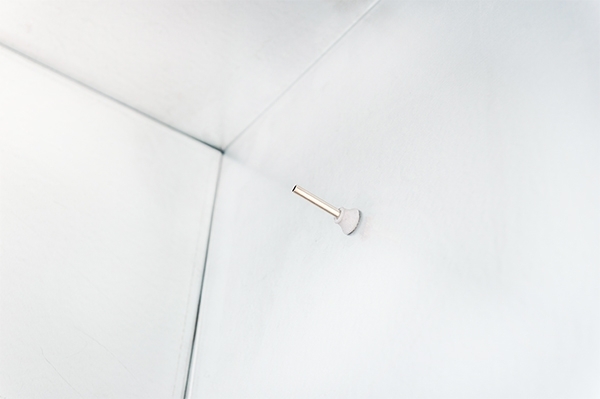 Whether water-based or lacquer finishes are being sprayed, the EcoCarbon booth completely cleanses the airborne chemicals and odors, making it completely safe to recirculate the air directly back into the work environment. 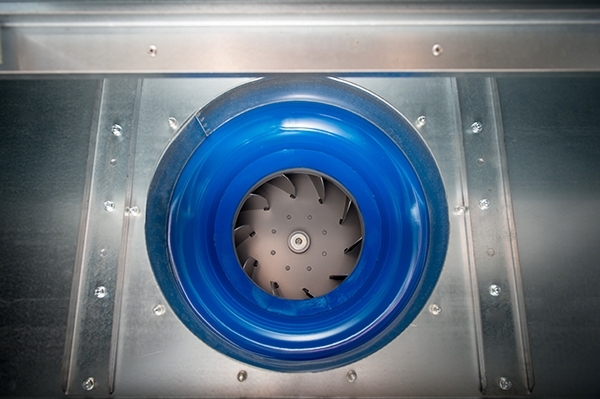 The EcoCarbon booth uses a strong and very quiet 2 HP impeller system, drawing more than 8000 cubic meters of air into the open frame booth past the operator and work piece, through the bank of triple wall filtration and then back into the work space. 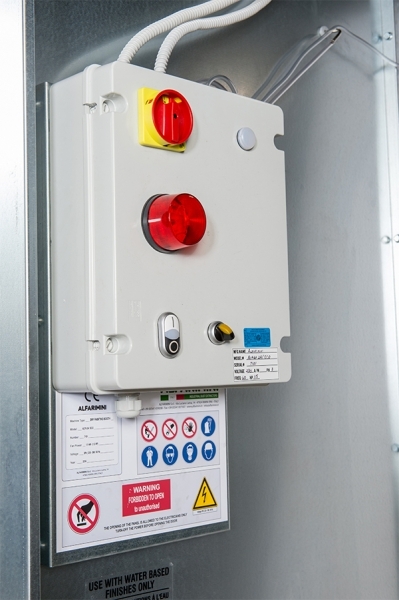 The impeller and motor unit feature a spark proof safety system. 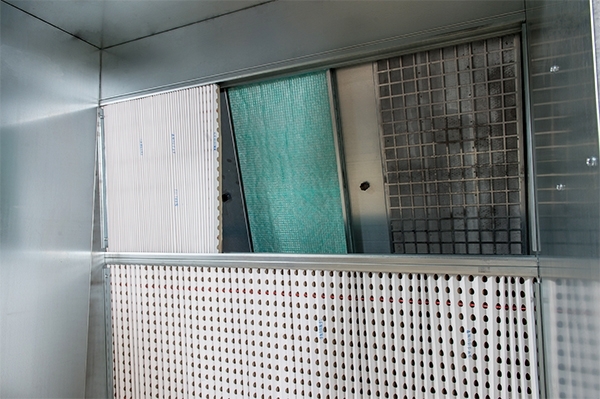 The 3-part filtration begins with a wall of “Andrea” filtration panels which catch the overspray from the operator. 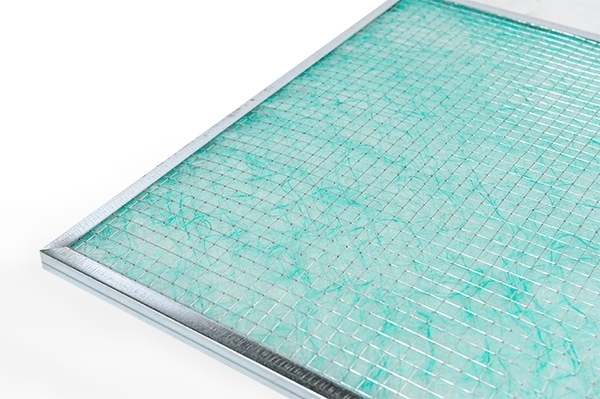 The air then passes through a wall of glass fiber galvanized frame filtration panels to remove the balance of chemicals from the air. 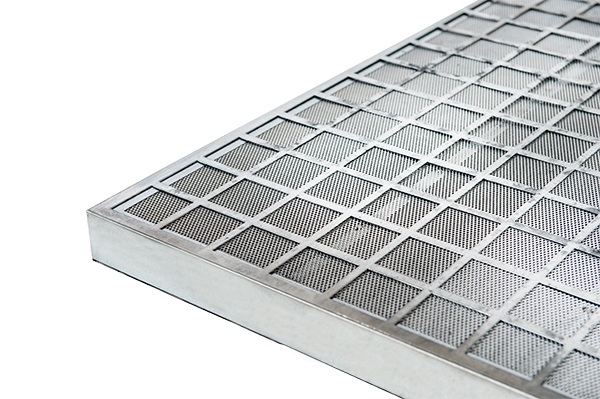 A wall of 2” thick activated carbon filters in galvanized metal frame is the final stage and completely cleanses the air of pollutants. One gram of activated carbon has a surface area in excess of 500 m2 due to low-volume pores that increase the surface area available for absorption. 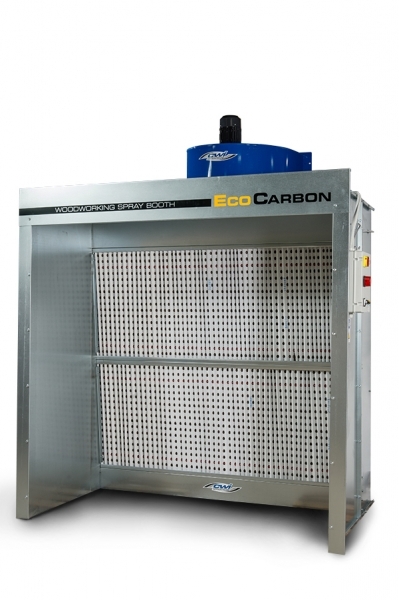 The EcoCarbon booth utilizes this advanced technology to cleanse both water borne and lacquer based finishes. 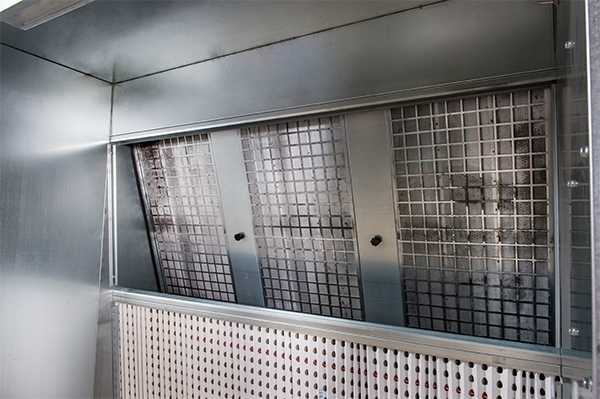 For the best performance of the EcoCarbon spray booth we recommend using water base finishes and stains as lacquer finishes will quickly use up the life of the activated carbon filters. 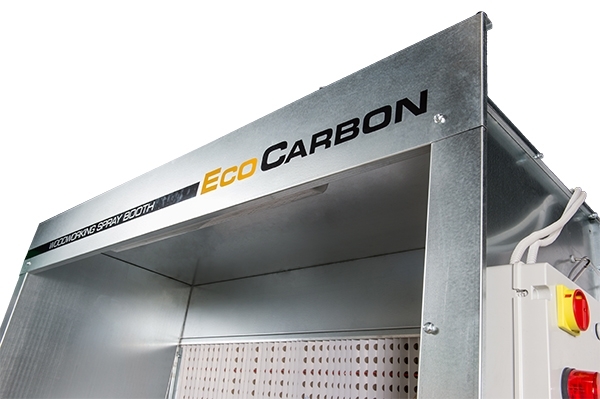 The EcoCarbon Woodworking Spray Booth also offers features a ceiling-mounted explosion proof light fixture with bulbs, pressurized switch and warning light for filtration cleanliness and efficiency, CSA certified electrical panel for use in Canada or anywhere that higher quality electrical components are required, and 16 gauge galvanized steel construction. 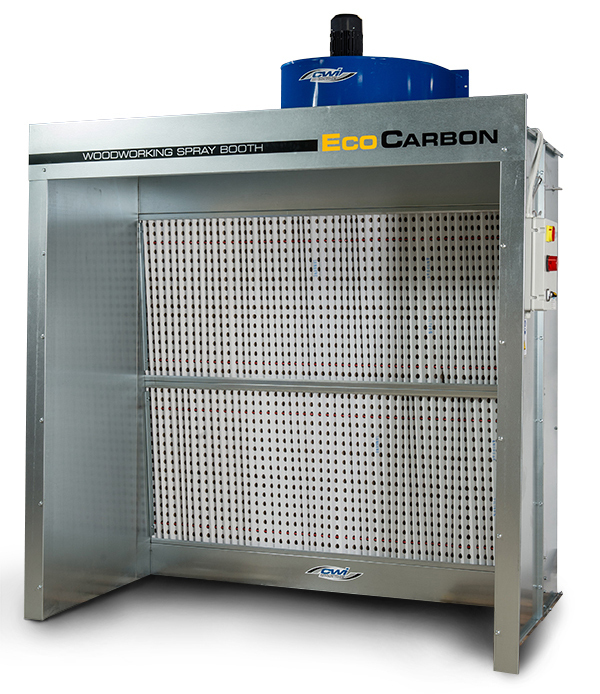 The EcoCarbon CWI-SB2AE spray booth is standard in a footprint of 7’ 10” x 5’ x 10’ 9” but has optional sizes up to 20’ wide and 8’ deep. The height remains at 10’ 9” tall with up to 24,000 cubic meters of air movement. 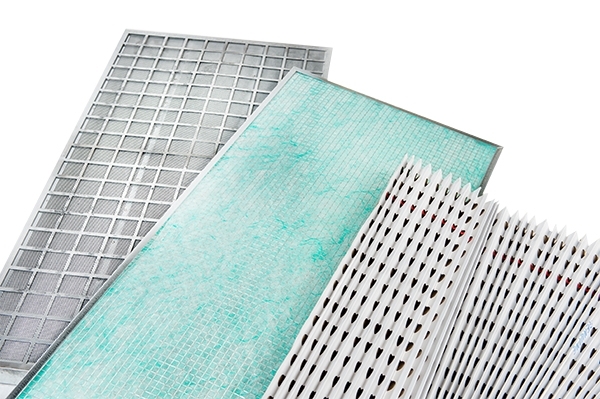 The CWI-SB2AE utilizes 3 glass fiber filters 23.25” x 47.25” x 7/8” and 3 activated carbon filters 23.5” x 47.5” x 2” thick as well as standard accordion style “Andrea” overspray filters. Larger booths will use more filters. Browse the product archive. 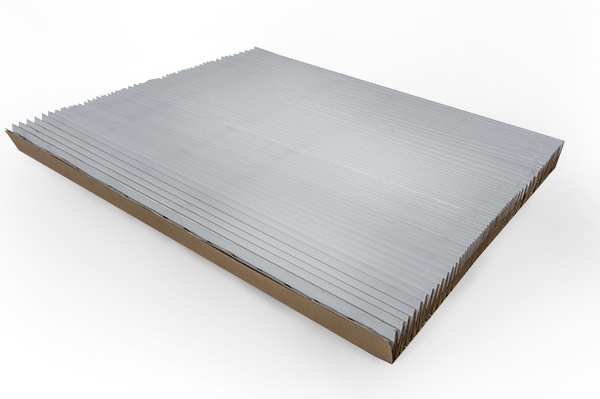 Type: Spray Booths. Brand: Ecocarbon. Bookmark the permalink.